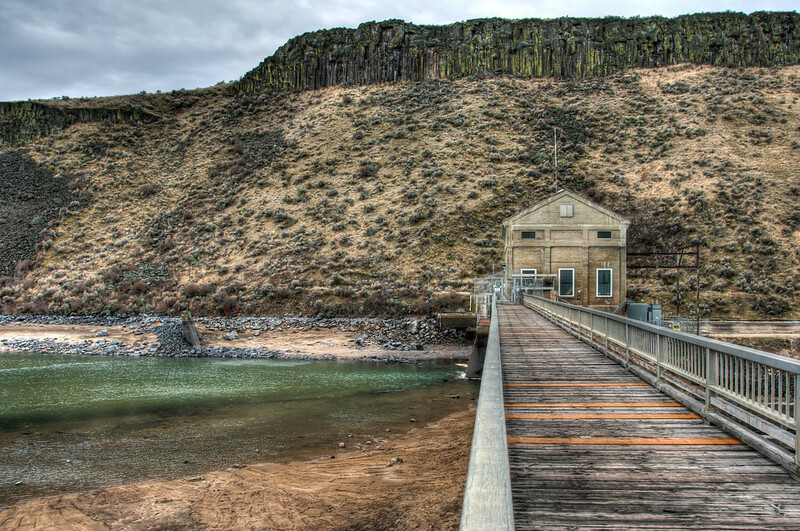 Boise River Diversion Dam | Just Shooting Memories! Looking at photos from the Northwest United States, most of them you see are of green forests, vast rivers and tall mountains. Rarely do you see the dry, barren high deserts. That was one of the first things I experienced in Boise. There are mountains, big mountains and very close, but Boise itself and the immediate surrounding area is high desert. Through the ingenuity of the early settlers to this area, the ability to live and thrive was derived from the Boise River. Just as the river flows from the surrounding mountains, a diversion dam was constructed to irrigate the Boise valley. This is the dam where the water is separated into the irrigation canal and the Boise River.